Traditional formal & quality 2-story home. Kitchen has been remodeled by Helton and features custom cherry wood cabinetry, built in refrigerator, high end appliances and hardwood floors. Unique features throughout with stained glass, solid wood doors, wood framed windows and classy formal dining room. Master suite with giant closet, deep jetted tub, double gas fireplace and private office with views. Abundance storage throughout. 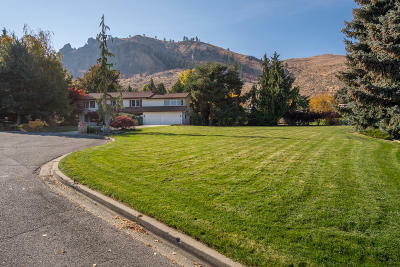 Mature landscaping and lots of outdoor space with an extra lot .29 acre lot that is included. Virtually staged photos included.